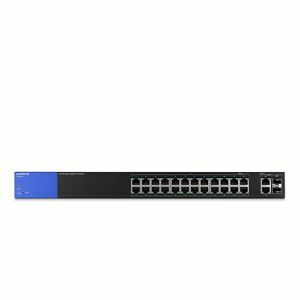 Upgrade the data paths of your local wired network to information superhighways with Linksys 26 Port Smart Gigabit PoE+ Switch. Accelerate your performance and productivity when you send large files to network servers, drives, and printers at Gigabit speeds. 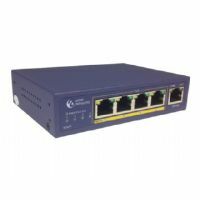 This managed PoE+ switch offers Gigabit speeds to minimize transfer times and greatly enhance the ability to stream high-bandwidth files to connected devices without interference. Integrated Power over Ethernet Plus (PoE+) makes installation simple and inexpensive by eliminating the need for additional power cables and nearby power outlets. Backwards compatible with 802.3af (PoE) standard. Numerous QoS features prioritize traffic, ideal for real-time voice and video applications & high bandwidth graphic or video uploads and downloads. IGMP snooping limits IP multicast traffic to the ports that requested it, enabling the rest of the network to operate at peak efficiency. 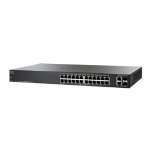 Buy Linksys 26 Port Smart Gigabit PoE+ Switch today!